In this article, we will give you all the information you need to fully understand exactly what is involved in inpatient rehab, as well as how to choose the right facility. The article is quite long so here is a quick in page navigation that will allow you to jump to a particular section if you aren't don't want to read the whole thing. When it comes to addiction recovery, finding the right inpatient drug rehab program can make all the difference between relapse and successful rehabilitation. Whether it’s yourself or a loved one, alcohol or drug addiction can take a toll on the lives of the user and their family and friends. That’s why it’s important to understand what an in patient drug rehabilitation entails and to know the steps to choosing the right one. Taking these steps ensures the user has all the support and resources needed to make a full and successful recovery. Inpatient drug rehabs provide full-scale addiction recovery services. This is in comparison to outpatient rehab programs, which offer minimal contact and support for recovering addicts. Inpatient rehab centers are facilities where the person in recovery checks in to access full-scale recovery resources. Once the patient gains admission to an addiction rehab center, there are several steps involved. First, the patient will go through a period of detox. Detox is the most difficult and uncertain time in the recovery process. It is during detox that many addicts are vulnerable to relapse. Depending on the level of addiction, detox can also be dangerous. The shock on the body from detox can be deadly. Inpatient rehabilitation centers have doctors and nurses on-hand to monitor the detox via safe and effective means. Addiction recovery goes beyond the initial detox. It requires a lifestyle change so that what was once a habit is no longer part of the patient’s daily life. It also involves getting to the root of the addiction and figuring out why the patient became addicted in the first place. At an inpatient drug rehab center, therapy and counseling sessions are part of the program. There is also 24-hour care, so the patient never has to struggle with addiction alone. Through all this, the patient receives the resources needed to start on the path to recovery. Inpatient rehab services are beneficial for many reasons in comparison to outpatient rehab programs. Overall, they provide the all-around rehab services that patients need to achieve full recovery. In an outpatient rehab program, a patient might receive less support during detox and recovery. An outpatient program can ask the patient to begin the detox period prior to admission into the program. The detox and withdrawal period is when the patient is most vulnerable to relapse. The physical symptoms of detox can make many drug addicts seek out the addictive substance to avoid the pains and discomfort of withdrawal. Detox can also send the body into shock, which is why it is a process that requires monitoring. Outpatient programs do not always offer detox monitoring. Inpatient rehab centers provide full support for the patient, from the beginning of the detox period through the emotional recovery in the months that follow. Medical staff will monitor the detox to ensure the patient’s safety. Following the detox, medical personnel will be available 24 hours a day to support the patient throughout the withdrawal period. The emotional ups and downs that follow the withdrawals are another period when the patient needs full support. To help patients through this difficult adjustment period, inpatient programs provide individual and group therapy as well as counseling. 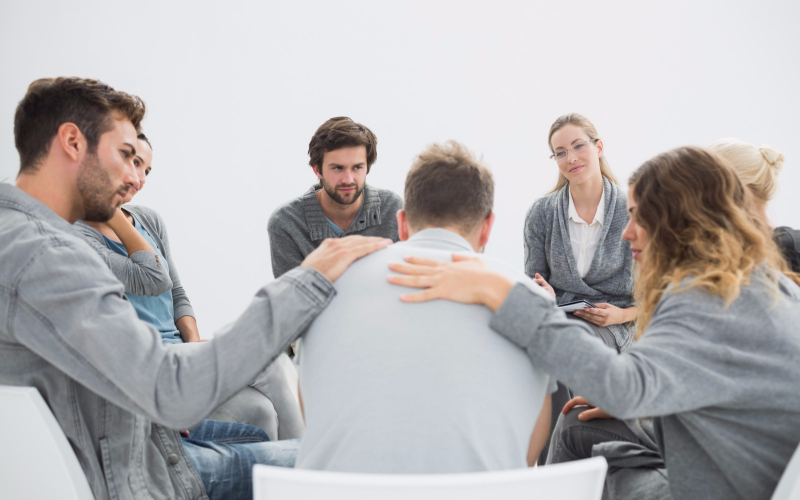 Individual and group therapy sessions allow patients to work through the emotional hardship of recovery and reflect on their addiction struggles. Hearing the experiences of other recovering addicts helps patients to realize they are not alone in their struggles. Individualized counseling will help the patient think about why they were susceptible to addiction in the first place. Counselling can also help patients to come up with strategies to deal with cravings and to avoid triggers for relapse. Counselors will also help the patient come up with a plan to achieve recovery goals. A patient can gain admission to an inpatient rehab via two ways: hospital admission or direct access. There are treatment centers that only accept one or the other for admission, so it’s important to know the center’s admission policies. Hospital admissions are often for people who have overdosed or suffered a near-fatal incident related to the addiction. After the initial detox period and medical treatment, hospital specialists can refer a patient to a drug rehabilitation center for admission and treatment. Direct access admission is for people who aren’t in hospitals but who recognize the necessity of fighting addiction and want to take the steps to recovery. Treatment centers can vary in the types of addiction services they provide. Not all facilities have the staff and resources required to handle any type of addiction. Some might offer alcohol addiction recovery, while others offer alcohol and drug rehab. When researching different inpatient drug rehab facilities, it can be helpful to look at their website. One can also call for more information. Addiction rehabs can also vary in the detox services they provide. Treatment centers that only accept hospital admissions may not have the experienced staff on hand to provide a safe, monitored detox. Instead, they rely on the hospital’s medical staff to monitor the detox. The potential dangers and risk of relapse during detox mean that it is important to ensure the inpatient treatment center has the right resources to support a full and safe detox and recovery. Depending on the type of rehab program the patient chooses, there may or may not be 24-hour care. Some programs offer temporary inpatient services but ultimately move the patient toward outpatient care. Other centers will offer in house rehabilitation services for the long-term. Such services include 24-hour care, so the patient never has to feel alone when cravings or relapse impulses hit. Treatment centers can also offer different counseling and therapy services. For short-term inpatient programs, a counselor might be available for the duration of the patient’s stay. But when the program ends, the patient will need to find a different outside counselor to complete the recovery. Long-term inpatient programs have counselors on site for the entire duration of the program. Most treatment centers provide a mix of single and group therapy sessions. Payment options are another factor to consider when choosing an inpatient program. While financial issues might be the last thing on a recovering patient’s mind, the fact remains that after the services are complete, there will be a bill to pay. Inpatient programs can be both private and state-sponsored. The differences between the two will reflect in the final bill. Also, insurance companies might have select programs that they will pay for. Treatment centers may also have select insurances that they accept. These distinctions can affect the various payment options available to the patient. How Long Does an Inpatient Rehab Program Take? The duration of time that a patient might spend in a rehabilitation program can vary from 30 days to a year. There are both advantages and disadvantages to short and long-term inpatient programs. Ultimately, choosing the right program for you or a loved one will depend on the patient’s outside duties, commitment to recovery, and financial resources. A short-term program might appeal to many recovering addicts for several reasons. Inpatient programs can seriously restrict the patient’s access to the outside world. Even with visitation, the time a patient spends with friends and family will be greatly reduced. Wanting access to the emotional support of loved ones is one reason why some addicts choose short-term programs. Some patients also have outside duties. These might include financially supporting or caring for a family member. A short-term program minimizes the time spent away from job and family demands. Short term programs also tend to be more affordable. However, addiction recovery is not a short process. The recovery process largely depends on the extent and length of addiction. The physical withdrawals alone can last from as little as a few days to a month. The emotional ups and downs that follow can last from a few to several months. 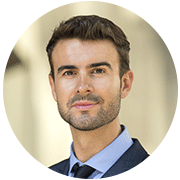 The physical and emotional difficulties of recovery can put the patient at risk of relapse. Short-term inpatient programs don’t always have the resources to support long-term recovery goals. Long-term inpatient rehab programs support the patient throughout the entire recovery process. From medical to counseling services, long-term programs avail of all the resources needed to ensure a successful recovery. Considering the unstable moods and mental state that the recovering addict must deal with, the stability of long-term programs offers patients the relief of having a structured environment to assist in their recovery. Some patients also know their tendency to relapse, so they might seek long-term programs to keep themselves from relapsing. The emotional and financial costs of long-term programs, however, are important to consider. Being in a long-term inpatient program means the time spent seeing friends and family will be cut down until the patient is out of the program. Some patients also do not have the financial resources to enroll in a long-term program. Choosing the right inpatient program, whether short or long-term, must account for the responsibilities and financial resources of the patient. Patients must also be honest with themselves about how likely they are to achieve full recovery if admitted to a short-term versus a long-term program. The difficult path to recovery is not one that you or a loved one must walk alone. There are resources to help people who truly want to rehabilitate and start their path to recovery. With an inpatient drug rehab facility, it is possible for a recovering addict to reclaim their lives and free themselves from addiction. From monitored detox, to 24-hour care, to multiple counselling and therapy options, inpatient rehab programs offer their patients the necessary tools to achieve a full recovery. Finding the right rehab program can seem overly complex. There are many factors to consider and that often involve researching various programs and comparing them to figure out what is the best program for the patient. Figuring out which treatments and services that the facility offers is the first step. But then the patient must also decide what type of treatment they need. Whether it’s a short or long-term, patients must determine which works best for their lives, duties, and financial situation. Fortunately, there is one source that matches patients with the inpatient rehab programs they seek: Addiction Help Guide. Our database can help you or a loved one find the best center for addiction recovery that suits the needs of the patient. Call now to find the right quality rehab center and start on the path to recovery.